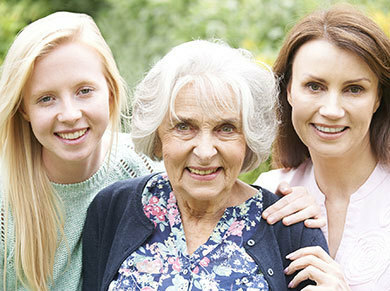 Whether she’s 13 or 103 years old, a woman needs the specialized care that a gynecologist offers. The compassionate doctors and nurses at Wendover OB/GYN and Infertility are here to help women navigate through all stages of life, from puberty to menopause and beyond. Wendover is pleased to offer state-of-the art 3D screening mammography using the very latest technology manufactured by Hologic, Inc.
Who should have screening mammography? The American Cancer Society has recently changed its recommendation stating that women should have the choice to start their screenings between the ages of 40 and 44 and should start regular screenings at age 45. Our physicians concur with the American College of Obstetrics and Gynecology and continue to recommend screening for all women aged 40 and above. If you are high risk, such as a family history of breast cancer, please check with your provider for further recommendations. What is 3D mammography? Breast tomosynthesis (or 3D mammography) is a relatively new FDA-approved technology in the fight against breast cancer. 3D mammograms complement standard 2D mammography and are performed at the same time with the same system. It may decrease the need for a diagnostic mammogram. 3D mammography eliminates the complexity of overlapping breast tissue during imaging because the camera moves over the breast and takes images from multiple angles. What are the benefits of 3D mammograms? Reduced imaging call backs and additional tests, earlier detection of small breast cancers that may be hidden during 2D mammography, greater accuracy in pinpointing size, shape, and location of abnormalities, and greater likelihood of detecting multiple breast tumors, which occur in 15 percent of breast cancer patients. Read Dr Rick Taavon's recent published article on Fibroids: Fibroids: What to Do? When? How?. This is part 1.